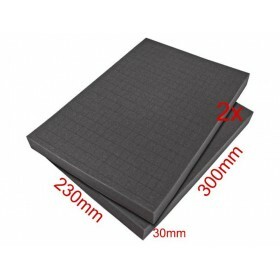 Universal Protective Bag 125x195x55mm 3 with Velcro Universal bag, size 2, with Velcro fastening, for instruments and accessories. 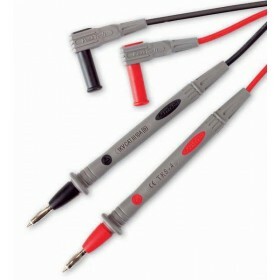 Pair of Test Leads 120cm 90° 1000V 10A with 2mm Diameter Probe Tip High quality PVC test leads red / black. Standard version with 2 mm probe tip. 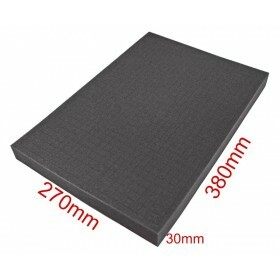 Spare Cubed Foam for Carrying Case PeakTech 7255 Spare Cube Foam Insert suitable for Carrying Case PeakTech 7255. Also universally applicable for other carrying cases with comparable dimensions. Easy processing by plucking out the cubes according to the shape of the future case contents. 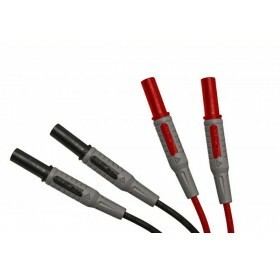 Pair of Test Leads 95cm 1000V 10A with 4mm Stackable Plugs This new product of test accessories in 4 mm technique can be combined with almost all measuring devices, generators and power supplies. Maximum safety is achieved through the double insulation of the wires and the contact protection against conductive metal parts in the closed state. Thus, this accessory is perfectly suitable for use in training and service area. 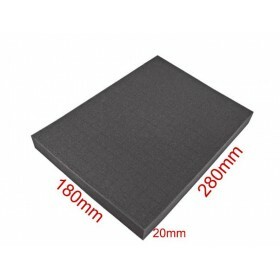 Spare Cubed Foam for Carrying Case PeakTech 7265 Spare Cube Foam Insert suitable for Carrying Case PeakTech 7265. Also universally applicable for other carrying cases with comparable dimensions. Easy processing by plucking out the cubes according to the shape of the future case contents. 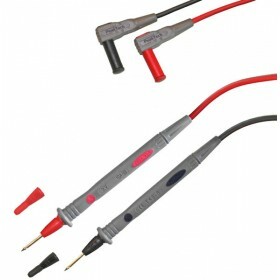 Pair of Test Leads 120cm 1000V 10A with Plugs 4mm This new product of test accessories in 4 mm technique can be combined with almost all measuring devices, generators and power supplies. Maximum safety is achieved through the double insulation of the wires and the contact protection against conductive metal parts in the closed state. Thus, this accessory is perfectly suitable for use in training and service area. 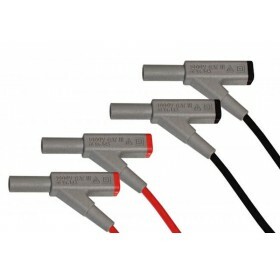 Pair of Double Hook Probes 16cm 1000V 10A for Plugs 4mm This new product of test accessories in 4 mm technique can be combined with almost all measuring devices, generators and power supplies. 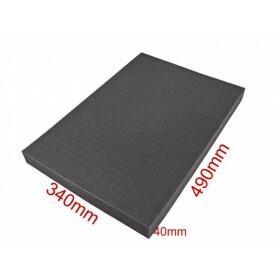 This accessory is perfectly suitable for use in training and service area. 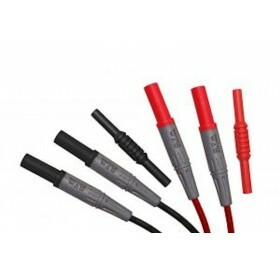 Pair of Test Leads 120cm 90° 1000V 10A with 2mm Diameter Probe Tip and Sleeve High flexible silicon rubber test leads red / black. Industrial standard with 2 mm probe tip. 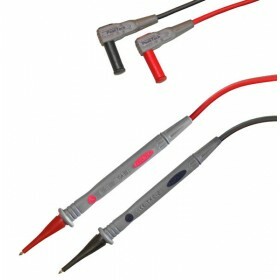 Pair of Test Leads 120cm 90° 1000V 10A with 4mm Diameter Spring-Contact Probe Tip and Sleeve High-flexible PVC test leads red / black. 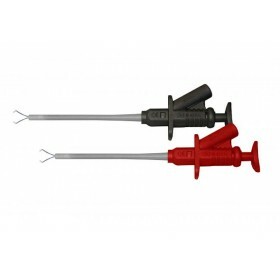 Industrial standard with 4 mm spring-contact probe tip and sleeves. Magnet Holding Kit for Multimeters and Tools with Velcro This magnetic holder is used to mount your measuring instrument on metal walls, e.g. doors of a subdivision, in switch cabinet construction, the motor vehicle repair or even in shipbuilding. In addition to the magnetic function, the mounting kit also offers a flap hanger opening for attachment to wall hooks and holders of non-magnetic substrates, so the devices can also be easily attached to “lock and load” or other mounting systems. 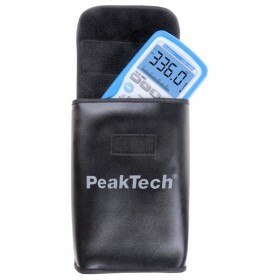 With the tear-resistant strap many measuring instruments such as multimeters, laboratory thermometer, insulation testers and various environmental measuring devices can be attached to the magnetic holder. 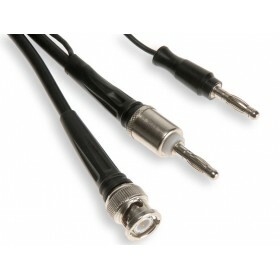 Pair of Test Leads 100cm 1000V 10A with Plugs 4mm and Extension This new product of test accessories in 4 mm technique can be combined with almost all measuring devices, generators and power supplies. Maximum safety is achieved through the double insulation of the wires and the contact protection against conductive metal parts in the closed state. Thus, this accessory is perfect suitable for use in training and service area. 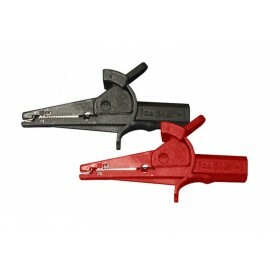 Pair of Alligator Clamps 1000V 10A for Plugs 4mm This new product of test accessories in 4 mm technique can be combined with almost all measuring devices, generators and power supplies. 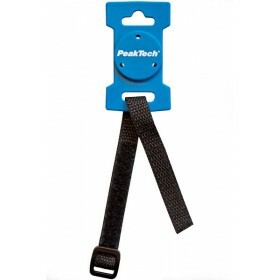 This accessory is perfectly suitable for use in training and service area. 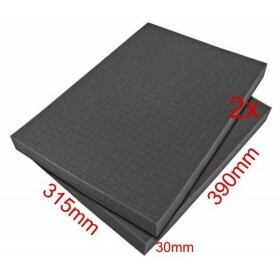 2 x Spare Cubed Foam for Carrying Case PeakTech 7305 Double spare Cube Foam Insert suitable for Carrying Case PeakTech 7305. Also universally applicable for other carrying cases with comparable dimensions. Easy processing by plucking out the cubes according to the shape of the future case contents. 2 x Spare Cubed Foam for Carrying Case PeakTech 7310 Double spare Cube Foam Insert suitable for Carrying Case PeakTech 7310. Also universally applicable for other carrying cases with comparable dimensions. Easy processing by plucking out the cubes according to the shape of the future case contents.